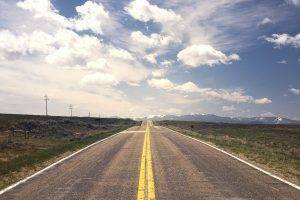 If you have a new job opportunity in another state or are just moving for a change of scenery, you’ll want to be able to enjoy the experience as soon as possible, either way. Choosing a moving and storage company is helpful when you need more time to finish up other important tasks before your move. It’s especially beneficial to have the help of a trusted moving and storage company when you’re moving long distance. The right long distance moving company can take the weight of moving off your shoulders and make your long distance move a stress-free process. If you’re moving to another state, you’ll need to choose a reputable moving company with years of experience with long distance moves. The movers in Toledo, Ohio you choose should have years of experience in the moving and storage industry. This ensures that they know how to successfully complete your long distance move. Some long distance moving companies in Toledo, Ohio might not have the proper experience to complete your move. If they advertise that they are long distance movers, you should still check their website to see how many years of experience they’ve had in the moving and storage industry. It’s important that the moving company you choose has experience in long distance moves. Some movers in Toledo, Ohio are experienced with local moves, but may not be experienced with long distance moves. It’s helpful to know how long they’ve been providing long distance relocation services. Call the long distance moving companies in Toledo, Ohio if you are unsure of how much practice they’ve had with moving customers to another state. Be sure to ask them if they are familiar with the area you currently live in as well as the area you are moving to. You’ll probably feel more comfortable knowing that your belongings are safe with movers in Toledo, OH who are familiar with where they’re going. Choose a long distance moving company in Toledo, OH that is licensed! Check to see if your long distance mover has a US DOT number on their website. If not, there’s a good chance they are not a licensed or reputable moving company. You can also check around to see if your mover is a member of any credible moving organizations. If your mover is a member of the American Moving & Storage Association (AMSA), it’s more likely that they are a reputable company. Some reputable local and long distance moving companies in or near Toledo, OH include Maumeee Valley Movers, ABC Movers Toledo and Stevens Moving & Storage of Toledo. When researching Toledo moving companies, make sure to look at their reviews! 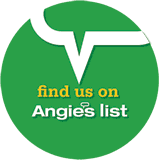 You can find moving company reviews on so many websites such as Google, Yelp, Yellow Pages, Facebook, Better Business Bureau, Angie’s List, and more! There are also moving review websites designated to moving company reviews only, where you can easily compare reputable long distance moving companies in Toledo, OH. When comparing long distance moving companies in Toledo, Ohio, check to see if any past customers have left reviews about moving out of state with the company. If you find a moving company with tons of positive reviews about their long distance move, you should definitely consider that company as an option for moving your belongings across state lines. Search the best rated cross country moving companies if the state you’re moving to is quite far from your old state. If you aren’t completely satisfied after reading the online reviews, you can always call your moving company and ask them for five references in your area who were past customers. It’s always best to be certain that the Toledo moving company you choose has a trustworthy reputation so you can trust them with your out-of-state move. After all, you’ve got a long move ahead of you and a lot to look forward to on the horizon. You made a good point when you said to look for a moving company that has plenty of experience. It is recommended that you choose one that has been around for many years and has serviced a lot of satisfied clients. This only means that the moving company is indeed reputable and trustworthy. If I were to look for long distance movers, I would make sure to keep this in mind. Thanks. I agree, when you’re choosing a long distance moving company you will want them to be licensed. After all, in order to safely move a large amount of property a long way, proper training is needed. If the company you hire is licensed then you can rest easy knowing that they have received that training.